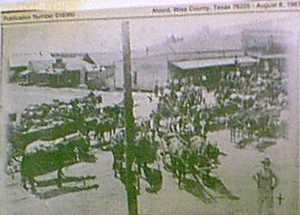 Watermelon Festival, an annual event, now replaced by Pioneer Days. Originally called Nina, before 1882, the name was changed to honor the president of the Fort Worth and Denver Railroad when it arrived that year. 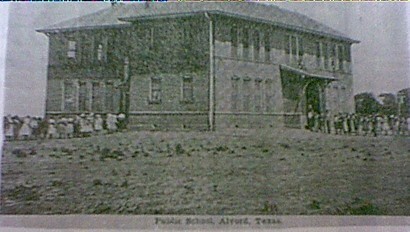 A post office was granted the same year and Alvord was incorporated in 1890. The population in 1925 was a very respectible 1,376 people and the town was thriving. The Magnolia Petroleum Company had a pumping station operating in Alvord, but like most towns, the population dropped with the onset of the Great Depression. In 1940 the population was down to just over 800 and in 1960 it had declined further to only 720. The town celebrates its heritage with an annual Pioneer Days celebration each June.